The preserve is an easy, flat hike with an abundance of things to see and experience. 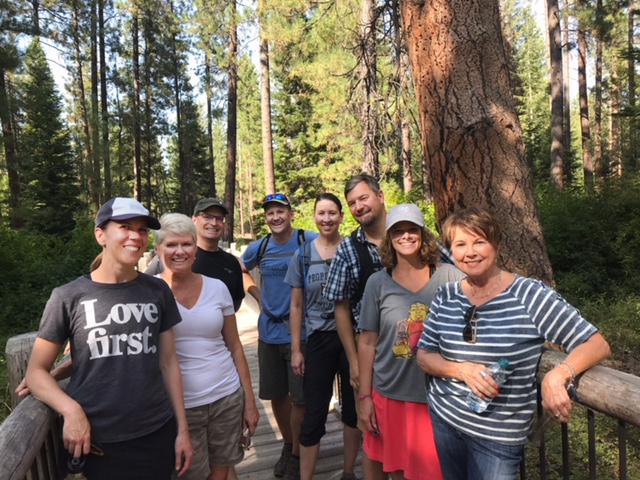 Last week several of our staff had the opportunity to spend an afternoon in nature. 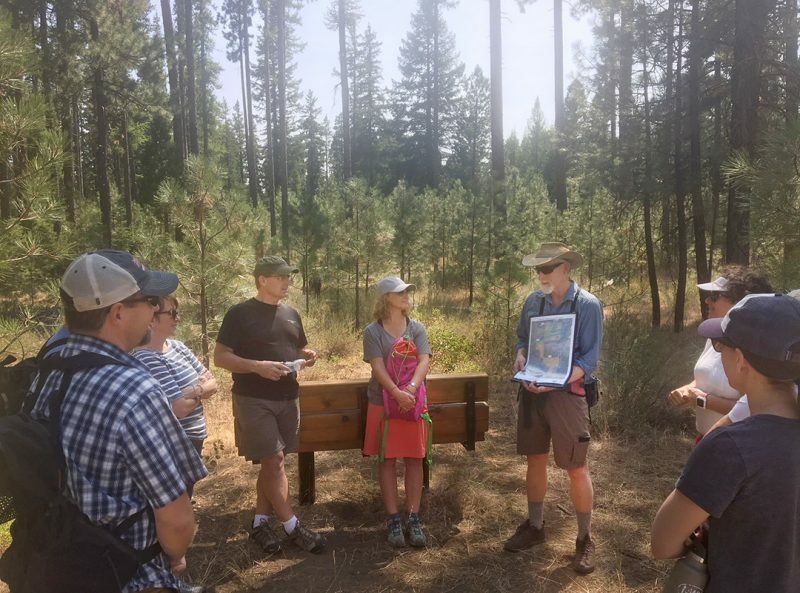 As a supporter of the Deschutes Land Trust since its inception in 1995, we were thrilled to accept an invitation from the Land Trust to tour their 1,240-acre forested preserve near Camp Sherman. 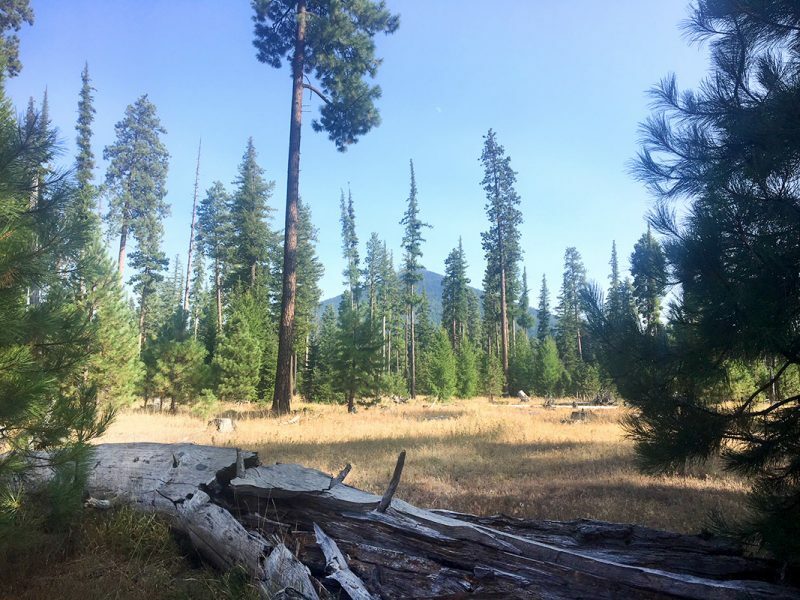 And the Metolius Preserve did not disappoint. 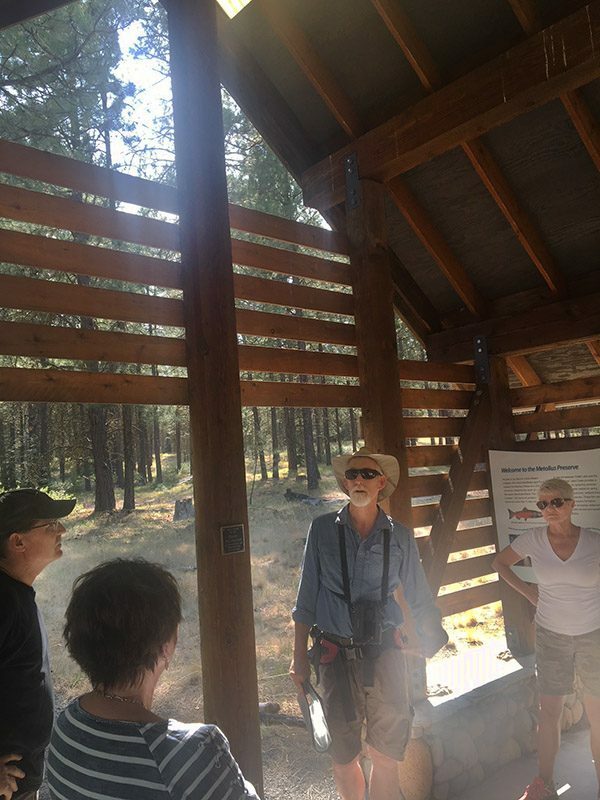 With Deschutes Land Trust founder and executive director, Brad Chalfant as our tour guide, we explored just a small portion of this amazing property. When we started the tour, Brad told us how the preserve property was owned by Brooks-Scanlon “back in the day”, which made for a fun connection to our team. It changed hands various times before it was acquired by the Land Trust in 2003. Deschutes Land Trust tour guide, Brad Chalfant, gives us the history of the property. Visiting the Becky Johnson Interpretive kiosk. Formed by ancient glaciers, this forested area boasts soaring Ponderosa pines, Douglas fir and western larch, which you don’t see much on our side of the mountains. Lake Creek, which runs through the preserve with three separate forks, is a spawning habitat for native redband trout, spring Chinook salmon and serves as a migratory route to Suttle Lake for sockeye salmon. Though we didn’t see much wildlife during our hot, dusty hike, we did see fresh cougar skat, evidence of a complex wildlife system. More than 80 species of birds have been identified in the preserve. Elk, deer, black bears, bobcats, badgers and beavers join cougar as some of the larger mammals that call this place home, as well as several smaller critters who were too shy to come out and say hi. About mid-hike, we stopped at the beautiful Becky Johnson interpretive kiosk that was built using Brooks-Scanlon mill timbers and paid tribute to the many community members and partners who made the preserve possible. pungent aroma. We trekked over quaint wooden bridges, enjoyed beautiful glimpses of the babbling creek and savored meadow vistas. As we were finishing up our hike, we were treated to gorgeous views of Black Butte. The afternoon was a wonderful respite to what would normally be a busy afternoon filled with emails, phone calls and meetings. 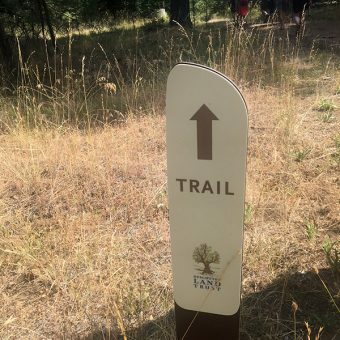 Reconnecting with nature and appreciating what the community has done to permanently preserve lands like these, make us feel lucky to live where we live. 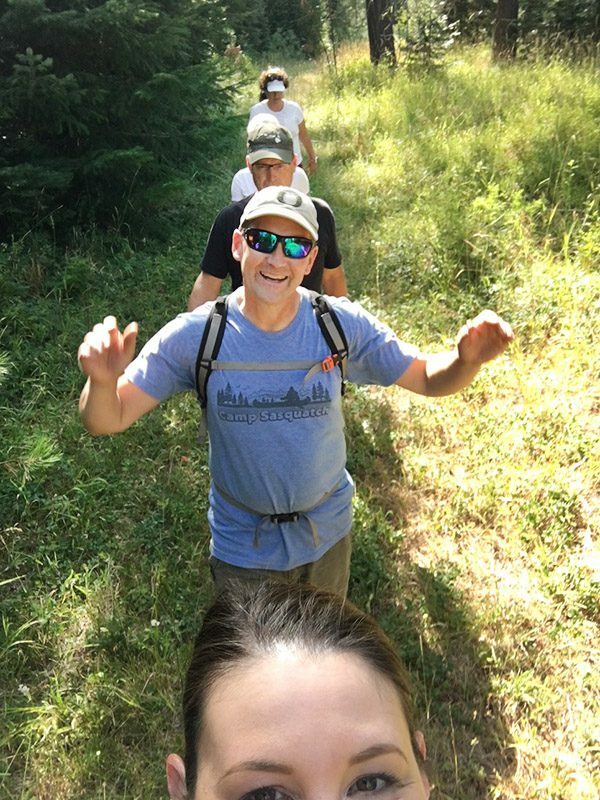 Our sincerest thanks to Brad and his team at Deschutes Land Trust for all that they do, and for taking a few hours to share that mission with us. This entry was posted in Supporting our Community. Bookmark the permalink.